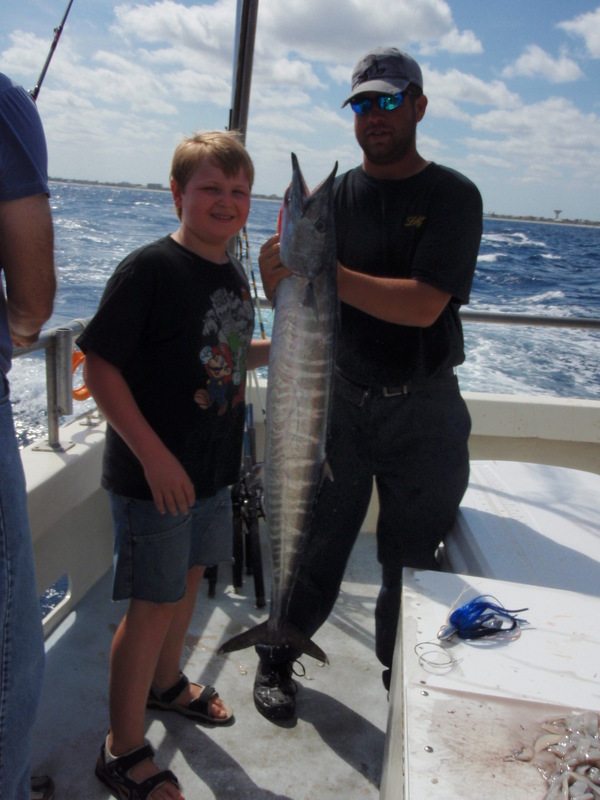 Mate Joe helps display a nice Wahoo reeled in by a junior angler aboard the Lady K this week. The Wahoo have been hitting sardines up close to the vessel feeding upon sardines fished in a variety of different ways. These fast and toothy game-fish are excellent eating and February is one of the top months to try one’s luck at landing the tiger of the sea. 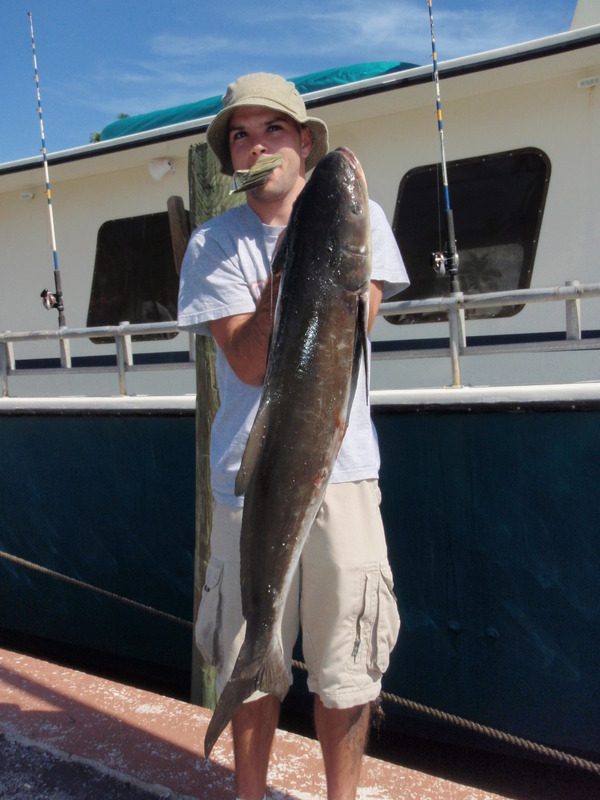 Cobia like this 23 pound fish continue to move through the area and also offer anglers some of the best in table fare. Cobia are commonly taken by anglers fishing with sardines yet due to their fondness of octopus, bottom rigs fished with cut squid are also produce good results. 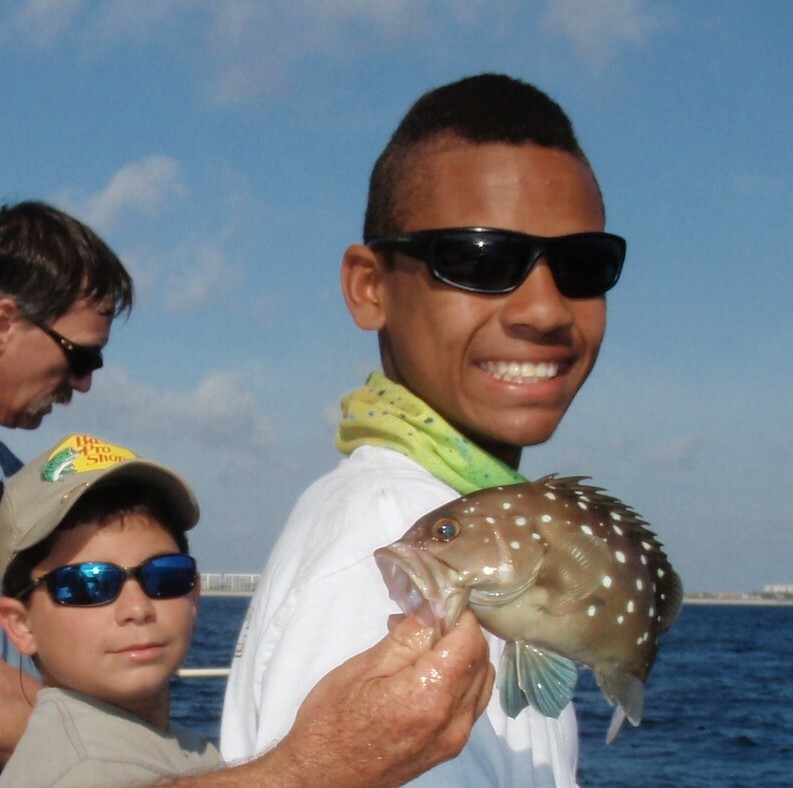 Junior VIP angler Max H. caught and released this beautiful juvenile Snowy Grouper while doing a bit of deep-sea fishing aboard the Lady K. Among the host of bottom fish lurking in the deeper waters are Greater Amberjack like the one pictured below. 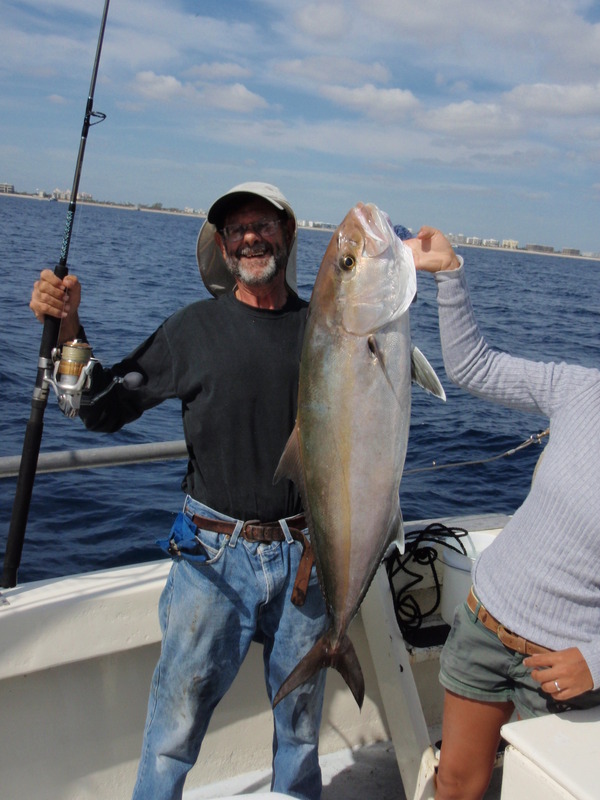 Amberjack or AJ’s, are hard fighting fish that will take a wide assortment of dead and live baits as well as artificial lures. 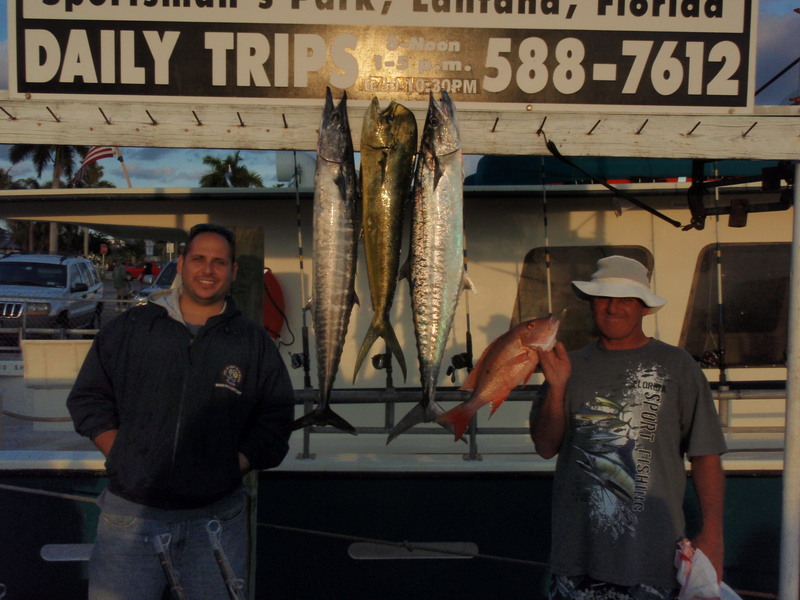 Take advantage of the mild South Florida winter now, after all Florida is known as the Fishing Capitol of the World and the Lady K is your means to explore the marine habitat which over 250 species of fish call home. Our crews are ready to assist every angler from beginner to advanced and will be working hard to keep you fishing throughout your trip. Don’t you deserve a little get away? Come on out aboard the Lady K.